News About Town: If you’re driving through the Elizabeth Lane Elementary school zone, be aware of posted speeds. The Town has been examining ways to make traffic flow more smoothly through the area, especially during school hours. Aside from traditional approaches such as evaluating the pattern of movement for carpool drop-off and pick-up, the police department has been gathering data such as vehicle speed and safety at crosswalks. In an effort to ensure safety for families getting to and from school, additional signs and alerts will be posted. The Matthews Police Department is also increasing patrols to enforce the speed limit and crosswalk laws. News Around Town: This Saturday marks the beginning of the winter hours for the Matthews Community Farmers’ Market. The market will have shorter hours from 8-10 AM, but many mainstays and favorite vendors will be selling through the colder months. 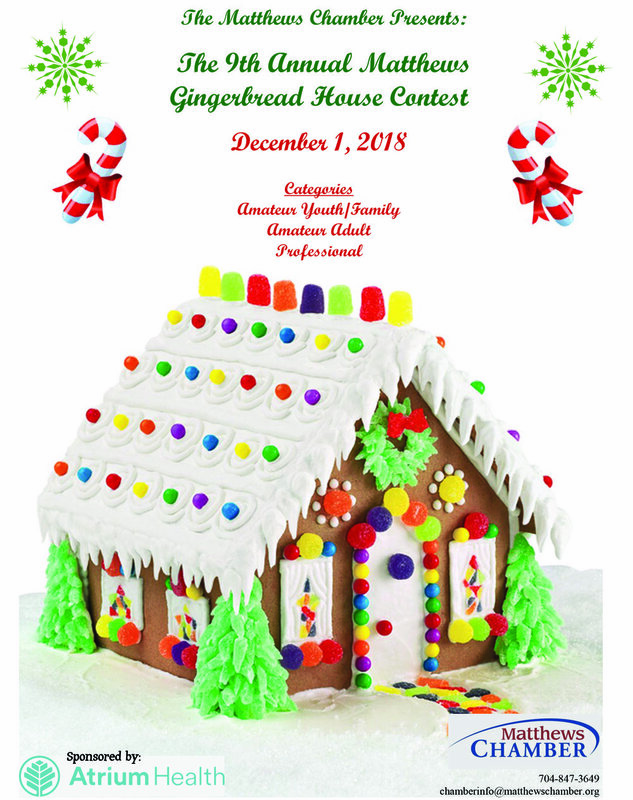 One Fun Thing: Show off your architectural skills with the Matthews Chamber of Commerce 9th Annual Gingerbread House Contest. Drop off your entry at the Chamber (210 Matthews Station Street) by 4:30 PM November 30 for judging on December 1. Judging will be separated into three categories: Amateur: Child/Family: 17 yrs or younger or family group that includes a child, Amateur: Adult: 18 yrs or older or any group of amateur adults, and Professional: Bakers, Chefs, Caterers, and Artists. Each category will be judged based on first impression, proportion, artistry, difficulty, and Matthews influence.